Interesting things from around the web that I’d like to share with you this Sunday evening. This post by Adam Reedy on the SciAm Guest Blog talks about high school students who completed an original research project in class (it took them four months) and published the results in the journal, Behavioral Ecology. 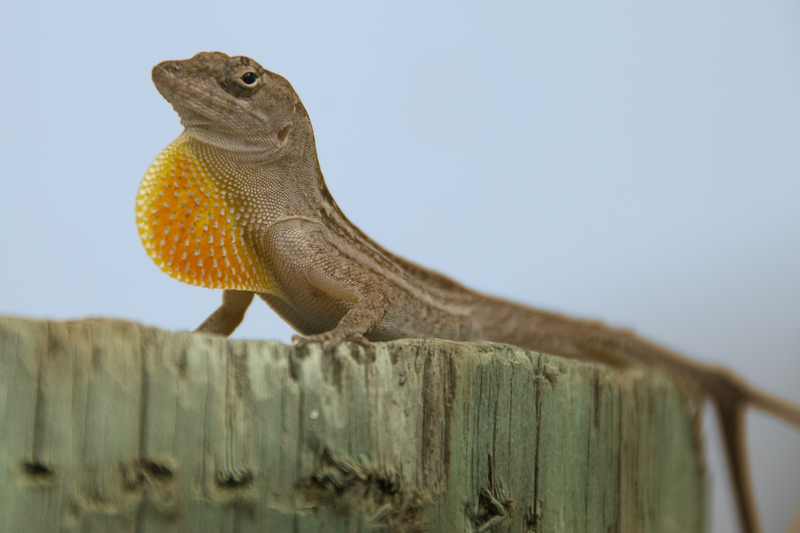 The students found that female brown anoles increase the survival rate of their offspring by choosing good nesting sites (particularly in regards to moisture). Mr. Reedy was able to get his students involved in such research with support by an NSF grant and through a collaboration with an evolutionary ecology lab. Not only were his students excited to be doing the project, but they also scored at or above peers in other classrooms in the school on tests. 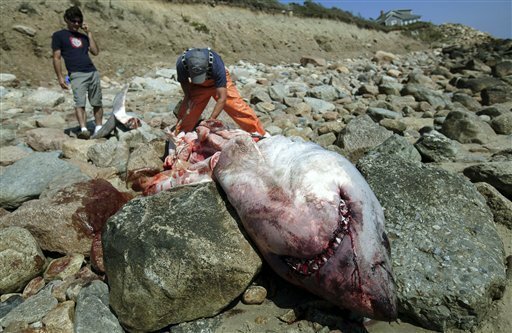 A fisherman discovered the shark‘s corpse near Westport, Massachusetts near the border with Rhode Island and half a mile from public swimming beaches in Little Compton. Great white shark sightings aren’t that rare further east in Cape Cod. In fact, a great white bit a man swimming in the Cape in July. But sightings in this area of Massachusetts are unusual. A necropsy was performed, and there were no signs of trauma and no other immediately identified cause of death. Officials are planning on leaving the body on the shore as it is difficult to move (and they probably learned blowing up big marine animals doesn’t work so well from the case of the exploding Oregon whale). Saturday Morning Breakfast Cereal : Someday you will die; now is your chance to learn something new! I love this cartoon by SMBC. SMBC is a very funny web comic that often references science/scientists (check out the archives if you haven’t before). This piece was quite touching (I won’t spoil the whole thing here), and I think there’s a shout out to citizen science in one of the panels. Anyone can learn about and practice science if they’re interested–especially in the internet age. In fact, here are 27 places you can learn about science for free online!